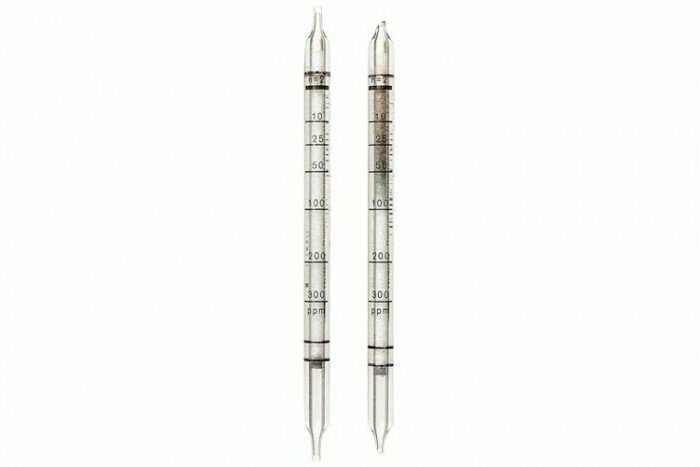 These petroleum hydrocarbon tubes (10/a) have a measurement range of 25 to 300 ppm. 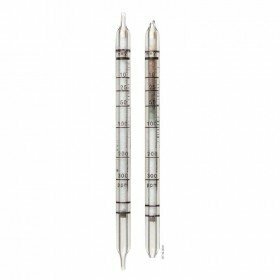 These particular short-term gas detection tubes from Drager can also detect a range of other substances including Acetylene, Decane, Decene, Diesel, 2,4-Dimethylhexane, 3,3-Dimethylhexane, 4,7-Dimethylundecane, Dodecane, Heptane, Hexane, Methyl Iodide, n-Nonane, i-Octane, n-Octane, Petroleum Hydrocarbons (general), Undecane and White Spirit. Please note the tubes come in a pack of 10 and have a shelf life of 2 years. Standard Measuring Range: 10 to 300 ppm for n-octane. In addition to n-octane other organic or inorganic compounds are indicated as well.